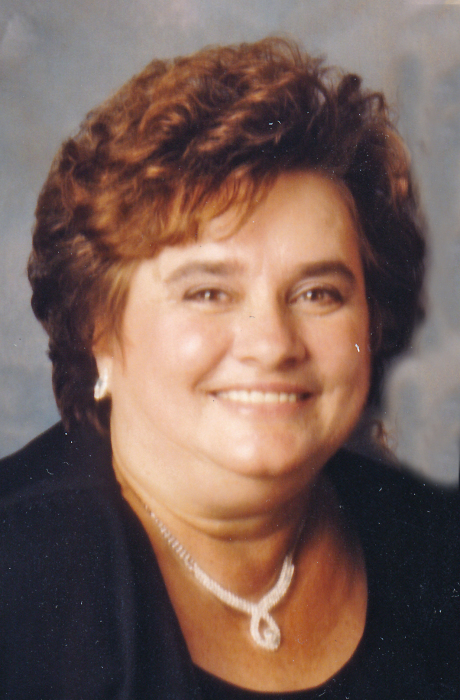 Mary M. Goglucci, 73, of Jersey City, passed away on Wednesday, March 27, 2019, while surrounded by her loving family. Mary worked as a custodian for the Jersey City Public Schools for 27 years. She was a dedicated member of the executive board of the local AFSCME 2262 Union for 20 years. Mary was a loving mother and devoted grandmother who loved spending time with her family. She will always be remembered for her charismatic, childlike personality. Mary was predeceased by her beloved daughter Tracy A. Goglucci in 2012, and also by her brother: Mario Mazzilli. She is survived by her loving husband: James J. Goglucci; Her beloved children: James N. Goglucci, Suzzanne M. Ioakimidis and her husband Nicholas, and Valerie Ann Lehman who was like a daughter to Mary; also surviving are her cherished grandchildren: Johnnie, Demetri, and Madison; Her siblings: Marilyn Futterer, and Robert Mazzilli; and many beloved nieces, nephews, and friends. A Visitation for Mary will take place on Sunday, March 31, 2019, from 12:00 PM to 4:00 PM at the Riotto Funeral Home (For GPS use parking lot address 14 Stagg St., Jersey City). Funeral services will be held on Monday, April 1, 2019, 10:00 AM at the funeral home and 11:00 AM at St. Paul of the Cross Church, Jersey City. Interment will follow at Holy Cross Cemetery, North Arlington.